Stop and listen, and you might notice something in Kansas City. The crescendoing sound you hear is a harmonious mix of boiling wort, clinking glasses and popped bottle caps that indicates something special: a beer revolution. In the not-so-distant past, the Kansas City beer scene relied mainly on just three brewing entities, Boulevard Brewing Co., 75th Street Brewery and McCoy's Public House. A small handful of beer-centric bars supported the cause, but over the course of the past few years, we've seen a sharp increase in businesses that cater to hop heads (or malt maniacs? ), helping to put Kansas City on the national beer map. Of course, Boulevard Brewing Co. is still the pride and joy of Kansas City beer. 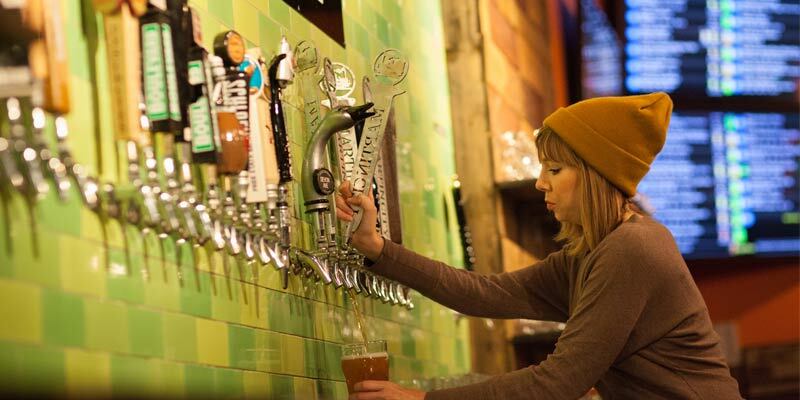 A must-visit destination for visitors and a must-repeatedly-visit destination for residents, Boulevard continually earns the recognition it receives as one of the nation's top craft breweries—and an important member of our hometown. But now, Boulevard has some neighbors. Just north of downtown, Cinder Block Brewery and The Big Rip Brewing Company have set up shop in North Kansas City, one of the KC metro's rapidly growing areas. But breweries aren't the only thing drawing attention in North Kansas City. Screenland Theatre on Armour recently underwent a transformation that made it an entertainment destination for beer nerds, adding an enviable craft beer selection to its bar, and starting the annual Arts & Crafts festival, celebrating beer, music and movies alike. In the Waldo area, KC Bier Company has taken aim at tackling authentic German beer styles, from a crisp, refreshing Helles to a rich, malty Doppelbock. In keeping with the theme, you can pair the beers with a variety of German sausages, cheeses and breads. And don't be afraid to bring the kids; KC Bier Company is very child-friendly, with a play area in the biergarten and items like coloring books and crayons to keep the small ones occupied while you imbibe. 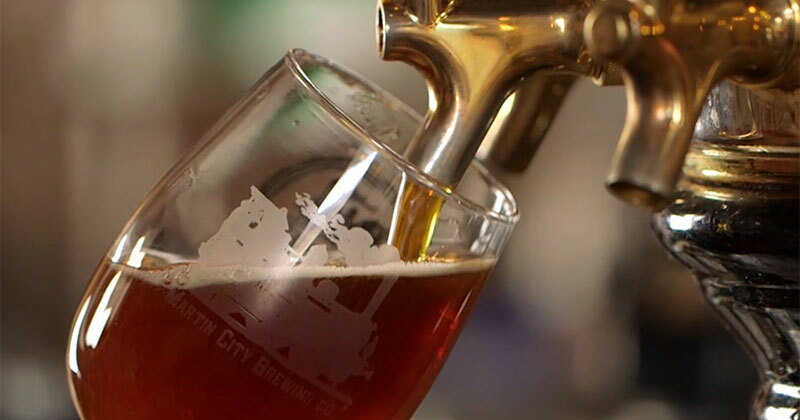 Traveling farther south through KC, in the Martin City district, Martin City Brewing Company is a veritable craft beer campus, with three buildings you can float between to quench your thirst AND satiate your hunger. Stop in the original pub building for a base layer of risotto balls and macaroni and cheese while sampling various beers from around the country and taking in a Sporting Kansas City game. Then walk next door to the taproom building and try Martin City's own fermented creations. Oh, and if the Abbey Ale is on tap, drink it. Trust me. After this, if you're lucky, you might even get to wander into the actual brewery building on the other side of the patio and face one of the owners in foosball. The beer boom in KC doesn't stop at breweries, though. In 2012, Bier Station, the Midwest's first combo beer bar/bottle shop, was opened in an area nestled right on the Waldo and Brookside border. 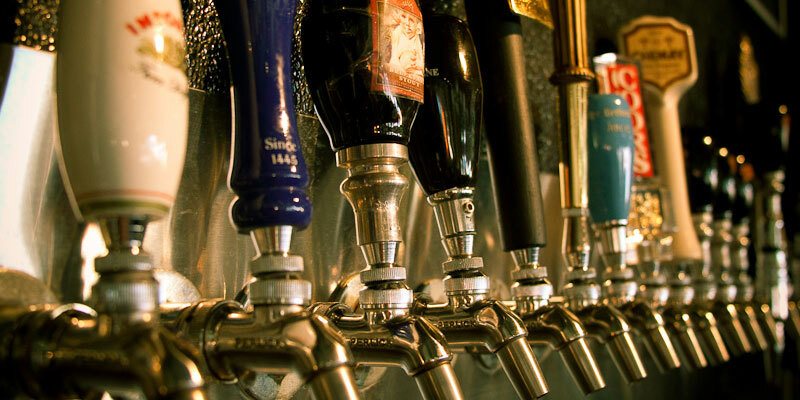 Voted as one of Draft Magazine's top beer bars, Bier Station is well-known for a diverse, constantly rotating tap list, and a bevy of special events that help it earn such recognition. The aforementioned McCoy's Public House continues to crank out in-house brews, while the connected, sister bar The Foundry couples craft beer with energetic nightlife; if sipping on an imperial stout while dancing the night away is your style, The Foundry might be up your alley. And the next day, if it was all a little too much, get some 'hair of the dog' treatment at Beer Kitchen, where you can pair a variety of beers with amazing food like a short rib grilled cheese. This trio of beer-centric spots (McCoy's, Foundry, Beer Kitchen) is known as BeerKC, and they also work to host two of the cities well-attended beer festivals—Westport Strong Ale Fest in the winter and Westport Beer Festival in the summer. If The Foundry sounds a little too frenetic, never fear; a calmer, but equally pleasing option is another short walk down the road in Westport. Step into Green Room Burgers & Beer and you'll be welcomed with a friendly environment that feels like you just walked into the home of a buddy who just so happens to have a killer homebrew set up. And indeed, Green Room offers up their own series of small batch, brewed-in-house beers, in addition to other national and local favorites. Grab some friends, order up some truffle fries to share (even though you won't want to), and play some Cards Against Humanity while sipping on the latest Papa Louie creation. If rubbing elbows (or clinking tulip glasses) with a celebrity chef sounds like it might be up your alley, The Belfry in downtown Kansas City is a spot worth visiting. James Beard-winning chef Celina Tio opened up the beer bar (which adjoins to her restaurant Collection) in the Crossroads area early in 2014. But don't think she's trying to coast on her name and recognition; she knows her beer like she knows her food. A Certified Cicerone, she pulls together some impressive beer dinners and maintains an excellent tap list. And, you'll often find her there, working the bar and chatting it up with guests. Jump over to the Kansas side of the metro and you will find a number of beer gems as well. In the Strawberry Hill area of Kansas City, Kansas, nostalgic arcade junkies will rejoice at the sight of the 403 Club and Barcadia on 5th, where you can sip on great beers while finally trying to nail the high score on AC/DC pinball or remembering the right series of buttons for Scorpion's Fatality on Mortal Kombat. Meanwhile in the Downtown Overland Park area, hit up one of the best happy hours in the city at Burg & Barrel, where every beer behind the bar is half off between 2 and 6 p.m. on Tuesdays. Or, if a little brewing education is more of what you're looking for, check out the unique Brew Lab, where you can get a hands-on brewing experience right in the store (think Build-A-Bear, but for beer). And the best part of all of this? It's just the beginning. More breweries are being established. More bars and businesses are opening up with beer on the brain. That noise will continue to grow, because here in Kansas City, beer drinkers are thirsty, loud and ready to be heard.